The Tournament Through Time is a campaign of five variants to be played on the PlayDip forums. Ten small teams of players, called Dynasties, will compete for ~11.5 months across variants spanning over 230 years of history. There will be prizes (of some kind) awarded to the Dynasty with the best overall score as well as to individuals who perform exceptionally in individual events. Note: This overview is adapted from the previously posted "Preview" thread on this forum. Think of a Dynasty like a team of athletes in Track & Field. There are multiple events and teams of different sizes. Some teams field the same athletes for several events, while others delegate. A Dynasty will be similar. Your Dynasty will have some number of players that will stay connected throughout the tournament. Each Dynasty will compete in four of the five games, chosen (or assigned) during the power selection process. Within those four games, it's up to your Dynasty to determine which member plays what. Your Dynasty should also be able to provide substitutes and replacements should they be required. There will be ten Dynasties total, and there may be a pool of free-agent alternates to help with replacements in a pinch. Your Dynasty will compete for glory across the series of variants. What Variants will be Played? The following five variants will be played. 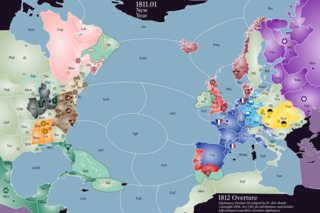 A current version of the rules & map is linked for each variant. 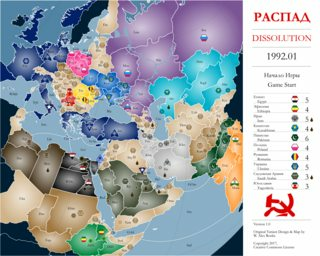 At least three of these variants (1812 Overture, 1936, & Dissolution) will receive additional rules and/or map updates well in advance of when they're played, but those updates aren't likely to be drastically different from what is linked. Set in 1763, just after the Seven Years' War. This variant introduced the Diplomacy Points (DP) system for voting on neutral units' orders. Set in 1811, in the Napoleonic era, just before the start of the War of 1812 in North America and the Patriotic War of 1812 in Europe. 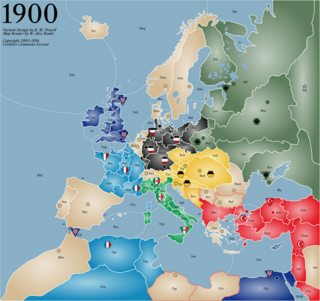 Set in 1900, this popular variant captures the spirit of classic Dip, but with some tweaks to the map and rules to provide it with more historicity. Set in 1936, just before the second World War and at the outset of the Spanish Civil War. 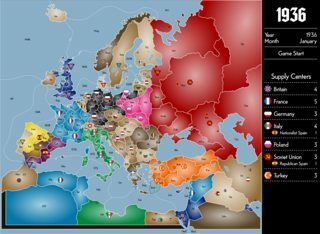 Two of the powers (Italy & the Soviet Union) control one Spanish faction each in that conflict. This is a DP-based variant. Set in 1992, just after the dissolution of the Soviet Union. This is a DP-based variant that also features permanent neutral units, Wing units, and a system of tracking foreign relations between your power and the neutral Nuclear powers. Each variant will be played and scored using a rank-based system inspired by the Carnage & European face-to-face tournament structures. Solo winners will get a huge amount of points to reflect a "real" win. Draws will include all survivors (DIAS), and players will receive points based on their rank and SC's at game end. Full details can be found here. This system should provide opportunities for Dynasties to formulate meta-game strategies as they move from era to era. 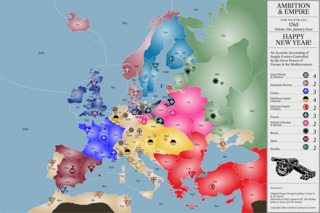 Rank-based systems are not typical to variant games, but they work very well with games that have a maximum number of turns. 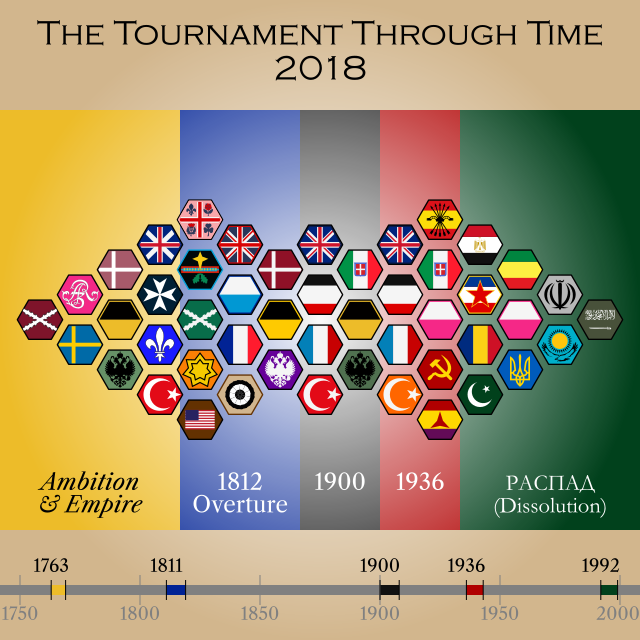 This will be the case for the Tournament Through Time, as each variant will be terminated in a draw after a preset number of game-years. This will prevent any one variant from running overlong, and it will limit the amount of concurrent overlap between variants. PlayDiplomacy uses a popular, easy-to-administer technology called phpbb to run this forum. Overall, it's a fairly good system with several features. However, one of the things that phpbb forums do poorly is person-to-person private messaging. It's workable, but it's not mobile-friendly, and it lacks many of the features found even in a typical email client. To that end, I will also create and moderate a Slack "team" to facilitate all inter-player communication except for orders submission. Please see the Guide to Using Slack for more information about how it will be used during the tournament. Dynasty Preregistration has already begun. If you have interest in playing or observing the tournament, reply to that thread. Further administrative details, including Slack setup and first-round power selection, will be handled in December 2017. Assignments for the first round will be announced on January 1st, 2018, and then the tournament will officially begin!